Starting to catch up on posts on various RV forums after 10 days on a beach in Jamaica not thinking about tires BUT here we go. Post about this tire that lost it's tread. There was a reply about "zippering"
"Your tires look like they threw the whole tread off. I always assumed that the treads I see on the road are bad retreads from truck trailers, but it appears that this is not the only source of thrown treads. Note that Michelin has documented a "zipper" condition on their motorhome tires. It consists of a circumferential crack on the sidewall just where it meets the tread. It could be the start of a delamination of the whole tread, which is what you seem to have. You might look this up on the Michelin website. It might result in a warranty claim. 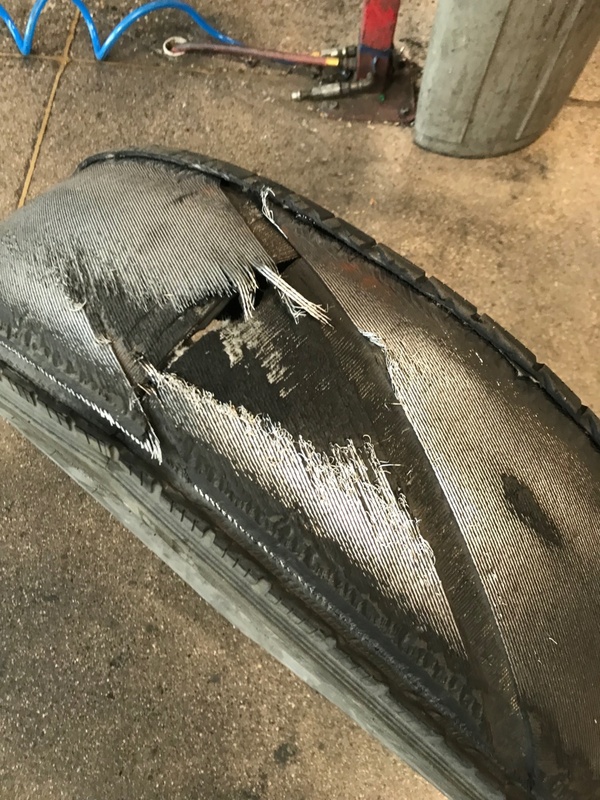 The only good way to protect against such a problem is by inspecting the tire regularly, which is not easy to do with an inside dual, especially since the zipper starts on part of the tire only and doesn't start on the full circumference. I wouldn't have any confidence at all that a TPMS would catch such a problem." While the reply was well intended it didn't in my opinion offer the correct answer. A closer examination finds areas that were rubbed smooth. 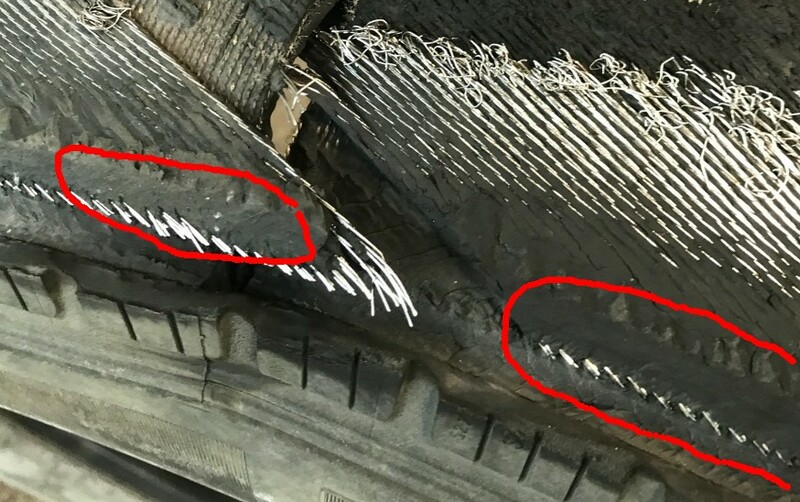 This is usually an indication of long term separation probably after operating for hundreds or possibly thousands of miles with a small separation at the edge of the two steel belts. I commented that "IMO the picture indicates not just a "tread separation" but the top belt separated from the bottom belt. This is a long (thousands of miles) term progressive failure. Many times a close thorough inspection can discover the signs beforthe tire comes apart." I also advised "RE "Zipper" comment. A classic "Zipper" failure occurs not at the tread sidewall jusnction and certainly not in a textile body tire as the one seen in the picture but is a steel body tire that has been run severly underinflated. This results in steel fatigue in mid sidewall as seen in the picture in THIS post.